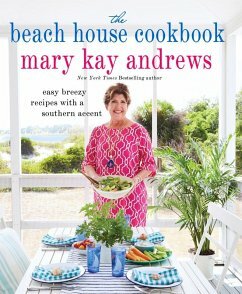 You don't have to own a beach house to enjoy Mary Kay Andrews' recipes. All you need is an appetite for delicious, casual dishes, cooked with the best fresh, local ingredients and presented with the breezy flair that make Mary Kay Andrews' novels a summertime favorite at the beach. From an early spring dinner of cherry balsamic-glazed pork medallions and bacon-kissed Brussels sprouts to Fourth of July buttermilk-brined fried chicken, potato salad, and pudding parfaits to her New Year's Day Open House menu of roast oysters, home-cured gravlax, grits 'n' greens casserole, and lemon-cream cheese pound cake, this cookbook will supply ideas for menus and recipes designed to put you in a permanently carefree, coastal state of mind all year long.